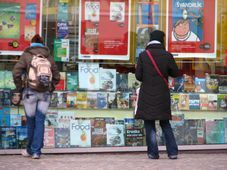 Second-hand booksellers in the Czech Republic and several other countries have lost a significant outlet to sell their books abroad after an Amazon subsidiary AbeBooks announced it would no longer support them. In reaction to the announcement, more than 450 antiquarian booksellers from all around the world pulled their books off the website in solidarity with those affected. Illustrative photo: Kristýna Maková The largest online marketplace for rare and second-hand books, AbeBooks, announced last month it will withdraw from the Czech Republic, Hungary, Poland, South Korea and Russia by the end of November. “We apologize for this inconvenience,” the company said in a letter, sent to sellers on October 18, without adding any further explanation. 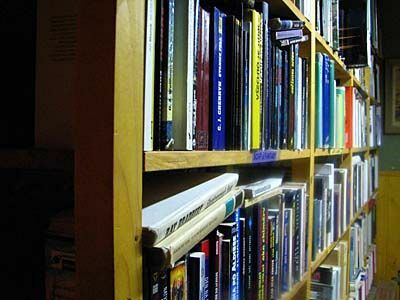 In a statement issued last week, the booksellers said the underlying reason was that their third-party payment service provider was closing at the end of the year. Among those affected by the decision is Ondřej Schick, owner of Antikvariát Valentinská, a large second-hand store in the centre of Prague. “The decision to close our account on such short notice has come as a complete shock, especially since no reason was given, not even upon request,” the store said in a statement, adding that they will have to dismiss at least five employees as a result. Upon learning the news, Mr Schick contacted the London-based International League of Antiquarian Booksellers, which in turn mobilised its members, including British bookseller Simon Beattie. In solidarity with his fellow booksellers in the Czech Republic and other countries, Mr Beattie initiated a strike, “putting his books on vacation” on AbeBooks and calling on colleagues to join him. To this day, around 460 book dealers from around the world have joined the so-called banned Booksellers Week, listing nearly three million books as “temporarily unavailable”. 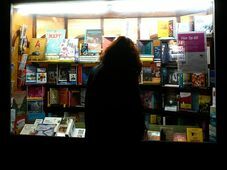 Speaking to the British daily the Guardian, Mr. Beattie described AbeBooks’ move as a gross unfairness, adding that many booksellers rely on sales through Abe to stay in business. Meanwhile, the London-based Antiquarian Booksellers Association responded by saying it would drop AbeBooks as a sponsor of its 2019 book fair.